Welcome to Begbies Traynor Bath. We are a group of licensed Insolvency Practitioners in Bath offering services to help companies with either rescue or closure options. 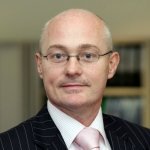 The Begbies Traynor Bath office is led by Neil Vinnicombe, who has in excess of 20 years of experience of working in the context of corporate insolvency. Neil and his team of experts can help with any issue relating to debt problems, financial distress or insolvency and they provide specialist advice and support to company directors from across the south-west of England. Our Bath office is one of several Begbies Traynor has in the south-west and there are others around the region in Bournemouth, Bristol, Exeter, Oxford, Cheltenham, Salisbury and Swindon. So, wherever you are in the region or the country, there will always be a Begbies Traynor office and a team of insolvency experts nearby. No company director wants to find themselves in the position of reaching out for support and guidance around insolvency matters but when the occasion calls for it, acting fast can make a massive difference. If you are faced with serious financial problems and the prospect of corporate insolvency, you should call Begbies Traynor to arrange a free initial consultation as early as possible. In addition to being insolvency practitioners, we are also experts in finding solutions to debt problems and dealing with creditors. In short, if you’re looking to make the best of a bad financial situation then you will want Begbies Traynor representatives in your corner as you consider the options available. We do have a further offices in the South-West region which are located in Bournemouth, Bristol, Cheltenham, Exeter, Oxford, Salisbury and Swindon which you may find more convenient for you.